Flash Voyager Slider X2 is a compact USB 3.0 drive that doesn't sacrifice size for performance. It has a smart design, with a USB connector that retracts for protection when you're not using it. A blue activity LED tells you at a glance if it's transferring data. It supports USB transfer speeds up to 200MB/s read and 50MB/s write. The Slider X2 is universally compatible with Windows, Mac OS X and even Linux, with no driver necessary. 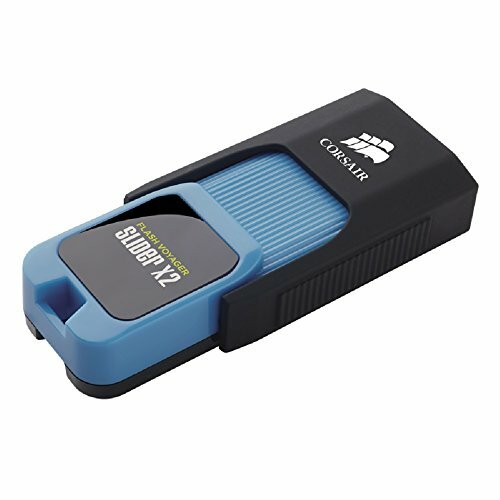 It's also backward compatible with USB 2.0, so you can use it with virtually any desktop or notebook.